Featuring an opaque finish and a durable stone-like texture for added grip, the Stone Collection emulates the most coveted semi-precious gems. Love, love, loveeeee this bottle sooooo much. 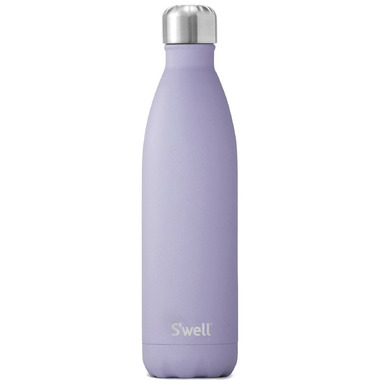 I was a bit worried when I made the purchase, because I had read reviews about others disliking the grainy, stone-like texture to this S'Well bottle, but I actually prefer it, because I have a better grip on it and it doesn't slip easily when I use it. Itâ€™s perfect! Exactly as pictured and exactly what I wanted. Keeps my water ice cold all day long and helps save the environment one bottle at a time! This water bottle is amazing! It really keeps water cold for a long time. The purple colour is beautiful and the mat finish looks great! This is the best water bottle ever!! !